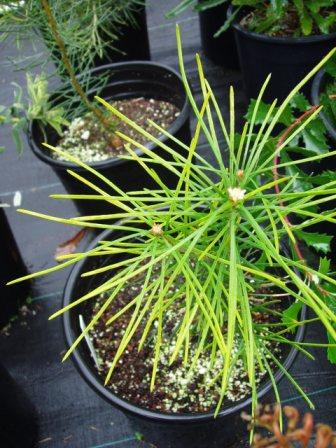 Spreading medium shrub or small tree with pine-like leaves and large yellow flower heads. Suitable to most well-drained light soils with dappled shade to full sun positions. Should be frost and drought tolerant. Rare in cultivation, seed difficult to obtain.